Punch 6-10 holes into the lid of the container. 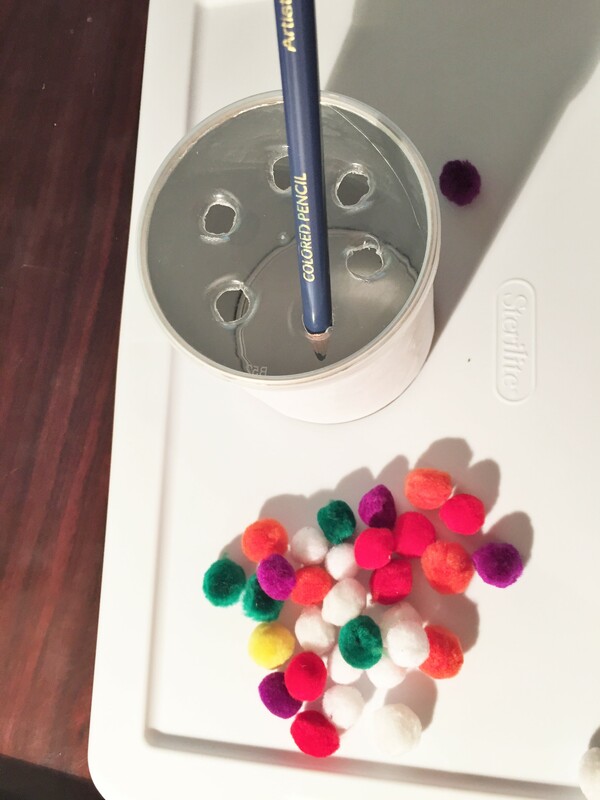 Use a wooden pencil to widen the opening of the holes until it’s just big enough to fit a pom pom into. 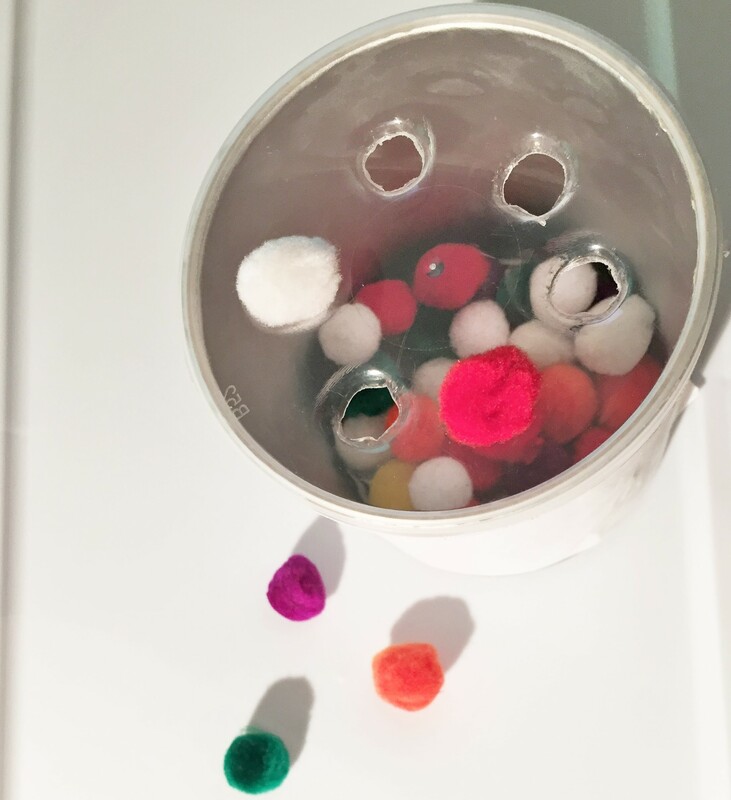 You can determine the difficulty level you’d like (the smaller the hole, the harder to push), but keep in mind once the holes are widened, you can’t make them smaller later. However, you don’t want them too small, either. If it’s too hard, your toddler may give up too quickly and never gain interest in the toy. Store pom poms inside container when not in use. Hooray! You’re done! That’s it! Show your toddler how to push it through. 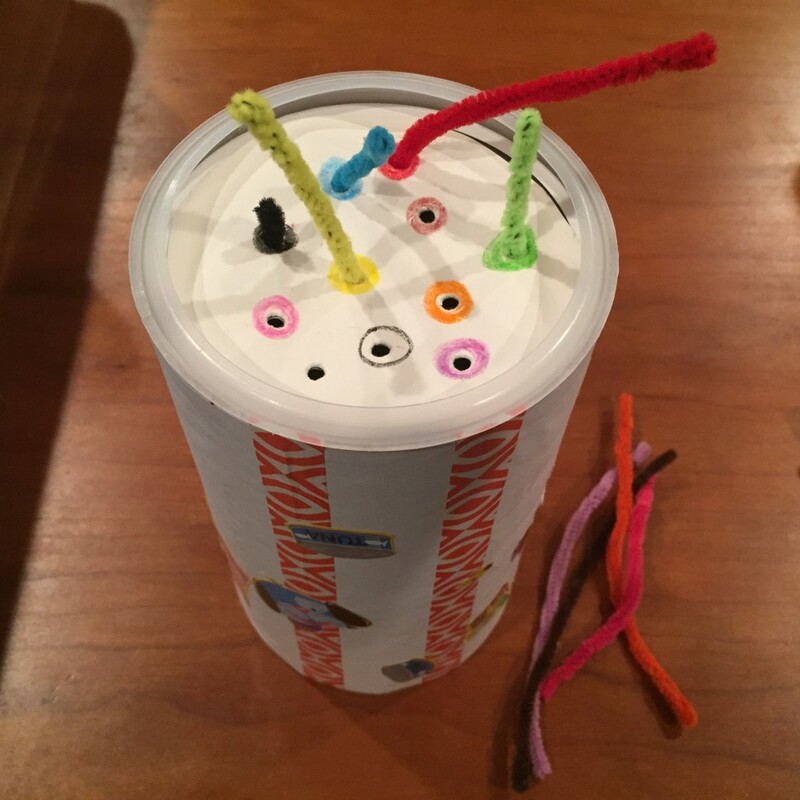 Shake the container to show them how rewarding it is to get pom poms inside, and then let them have at it! Brilliant!! I will be making these for our toddler, especially with baby #2 on the way. Thank you! Hooray! I have one more idea coming your way soon! =D Congrats and I hope the pregnancy goes smoothly! !